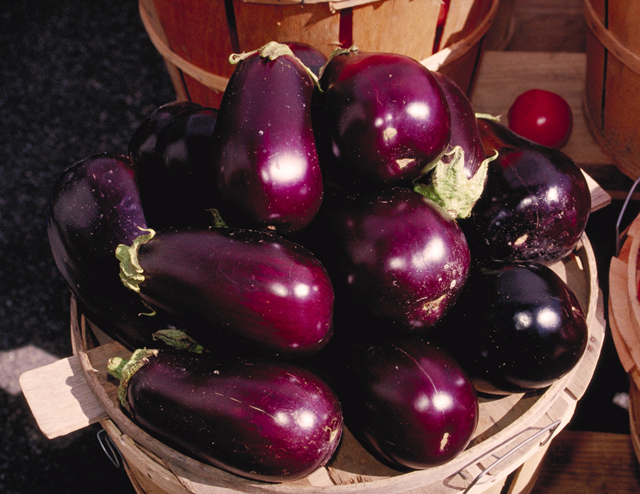 Eggplants, also known as aubergines, are a species of nightshade plant, so those with nightshade allergies should avoid them. For the rest of us, there are some really delicious recipes to use with eggplant, including the Low-carb Eggplant and Spinach Lasagna Recipe below. My eggplant lasagna dishes have been received very well. I hope you enjoy the following recipe. Do not peel eggplant. Cut the eggplant lengthwise into 1/2 inch slices, and place the slices on cookie sheets that have been sprayed with Pam. Salt and pepper. Bake 7 minutes at 350 degrees, then turn and bake another 7 minutes. While that is baking, in a saucepan, heat the olive oil, and saute the diced onion and minced garlic. Add the pre-cooked hamburger, tomato sauce and spinach. Simmer for 30 minutes. In a bowl, mix the egg, ricotta cheese, 1/2 the mozzarella, Italian seasoning, parsley and salt and pepper. In a large baking dish, layer the tomato sauce, eggplant slices, cheese mixture, and repeat. Top with the remaining mozzarella cheese. Cover and bake at 375 degrees for 1 hour. Remove the cover and brown the cheese for 5 to 10 minutes, then let the lasagne rest for 10 to 15 minutes before serving. Serve with a salad.